When we think about the radical transformative potential for blockchain to drastically reshape our world, it is crucial to consider how the dominant voices in the industry will impact what the real-world applications for these new technologies actually look like. 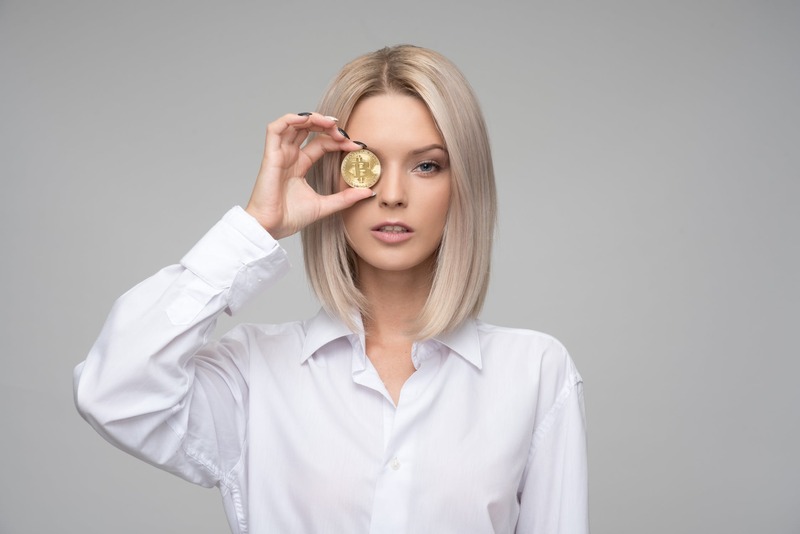 Fortunately, while there is still considerable gender disparity in crypto, more and more women are bringing their skills to this space. Here are some of them! According to Elizabeth Stark, the best way to encourage female participation is to highlight the incredible work that women are already doing in blockchain. You’ve probably heard of Lightning Labs; they’re responsible for the Lightning Network, a protocol which, “dramatically improves the scalabilty of blockchain currencies like Bitcoin by streamlining the number of nodes involved in each transaction.” With a deep background in open-source and peer-2-peer technology, including teaching at Yale and Stanford, it’s no surprise that Stark is at the helm of this innovative project. A world traveler and veteran of the financial sector, working for companies like Goldman Sachs and Credit Suisse, Rossiello decided to start her own company in 2012. Pregnant with her second child and living in Kenya, Rosiello told Glamour, “Nobody would hire me because I was a pregnant woman with a small child and the work would involve frequent travel and long hours. I was losing jobs to people who had less experience.” At the same time, people from the industry were still consulting her over lunch on a regular basis and picking her brain for advice. “So, I was like F this. I’m starting my own company,” she said. After gaining seed funding from some big name investors, Rossiello launched BitPesa in 2013. Leveraging blockchain technology to facilitate transactions in developing countries, BitPesa lets anyone send payments in and out of Africa 90% cheaper, 93% faster, and 100% easier than was previously possible through any existing service, cutting out the middleman and letting anyone transfer payments from point A to point B using cryptocurrency. Today BitPesa operates in over 85 countries and has over 23,000 users. Tavonia Evans brings over 20 years of experience in businesses development, analysis, and marketing to the crypto space. She co-founded a peer-to-peer reputation ranking startup, Safe2Meet, and has spoken at multiple blockchain conferences worldwide. Now, Evans is working to highlight the often overlooked contributions of black consumers to the economy. Black consumers spend roughly $1.2 trillion every year, but many companies actually underestimate the importance of black consumers to their brand. As a result, those companies don’t reinvest their profits into black communities. Evans created the Guap Token, issued on the Ethereum blockchain, as a way to highlight the economic contribution of black consumers and to build community surrounding black-owned local businesses. “$Guap will fund, support, and circulate amongst its own merchant network and reward consumers for supporting community businesses, grassroots organizations, and HBCUs,” $Guap’s website explains. After graduating from Johns Hopkins in 2005, Galia Benartzi became involved with several tech startups, including Particle Code Inc. where she was co-founder and CEO until 2011. More recently, Benartzi is putting her background in business, economics, and tech towards the ambitious Bancor network. The Bancor ICO raised upwards of $153 million in funding, making it one of the highest grossing ICO’s ever. Already in advanced stages of development, the Bancor network protocol is a non-profit foundation that focuses on streamlining the process of conversion between tokenized assets.